And I thought the summer of 2011 was bad, when our pond dried up and was nothing more than rock-hard dirt with cracks running through it. 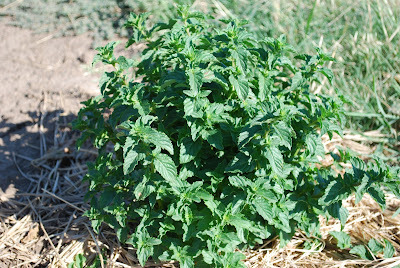 Oh ... and a few hundred large weeds. The drought of 2012 is proving to be much worse than anything the summer of 2011 handed to us. And yet, in spite of the shriveled up cornfields and the wilted soybeans that dot our local landscape, there really are some bright spots to be found. Such as our garden. We've tried our best to water everything, but some plants just won't thrive when temps reach well over 100 degrees. 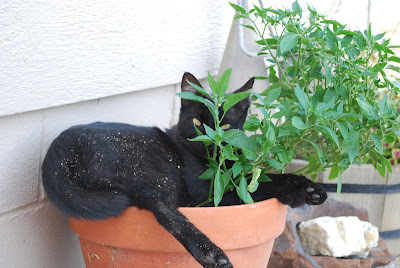 But the plants that have done well? Our pumpkins and cantaloupes are doing great. 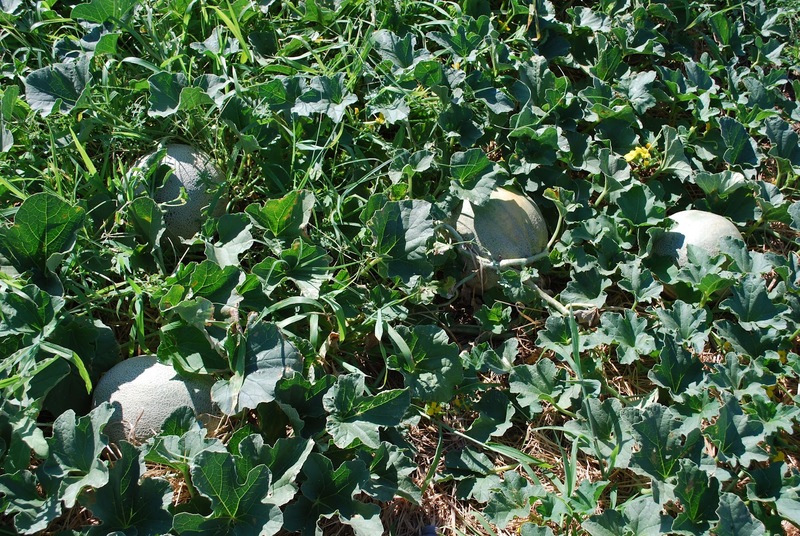 And we didn't even plant any cantaloupe this year! These are volunteer plants from last year's cantaloupe scraps thrown into the compost bins. It looks like we'll be getting quite a few cantaloupes in the next few weeks. We've already eaten one, and it was so juicy and good! And the chickens enjoy the cantaloupe too - they get the less than perfect, slightly buggy cantaloupes. And the pumpkins.... 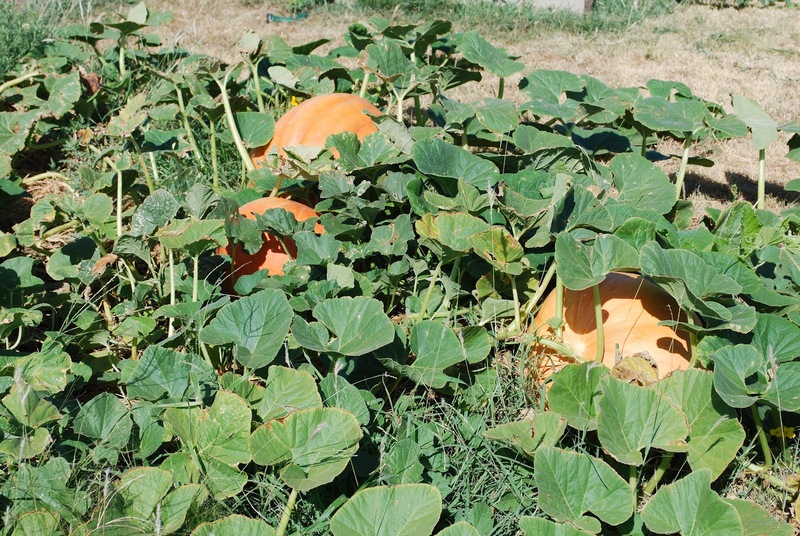 I didn't plant the small Baby Pam pumpkins this year. Hubby wanted GIANT pumpkins, and that's what we're getting now! We planted super sweet onions this spring. 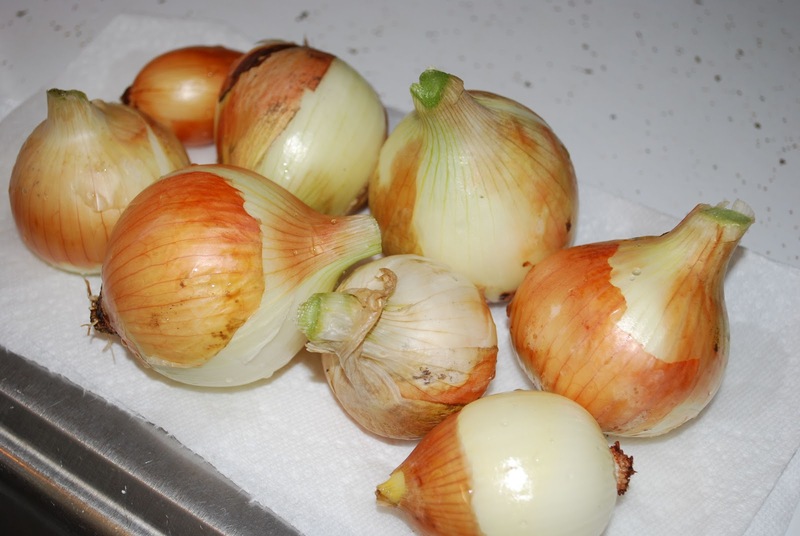 We've never tried to grow onions before -- we were pleasantly surprised at how easy it was and how delicious they are! I've been making Onion Strings the last week or so, to use up the last of our onions. Onion Strings are just very thinly sliced onion rings. Hubby has become rather addicted to them! We'll be planting more onions soon for a fall harvest. 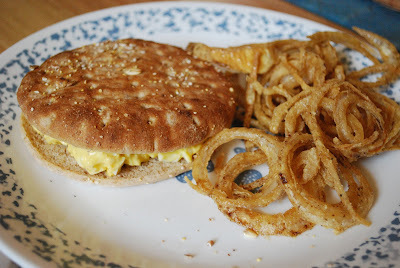 Here's his lunch today - fresh Onion Strings and homemade egg salad (from our eggs, of course!) on a Nature's Own Multi-Grain sandwich round. Less bun, more filling - he really likes his flat buns for lunches. The guineas enjoy hanging out around the sprinkler, so we have a small green spot in the back yard, amongst all the brown. It's rather lush looking. Hey, anything to keep the birds happy, you know? The chickens, not so much.... they run away if they get sprinkled on! 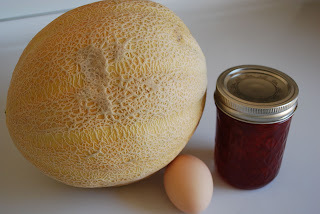 Finally, a snapshot that says "hey, we do have a few things to be thankful for"..... cantaloupe, eggs, and strawberry jam! How is your garden doing this year? 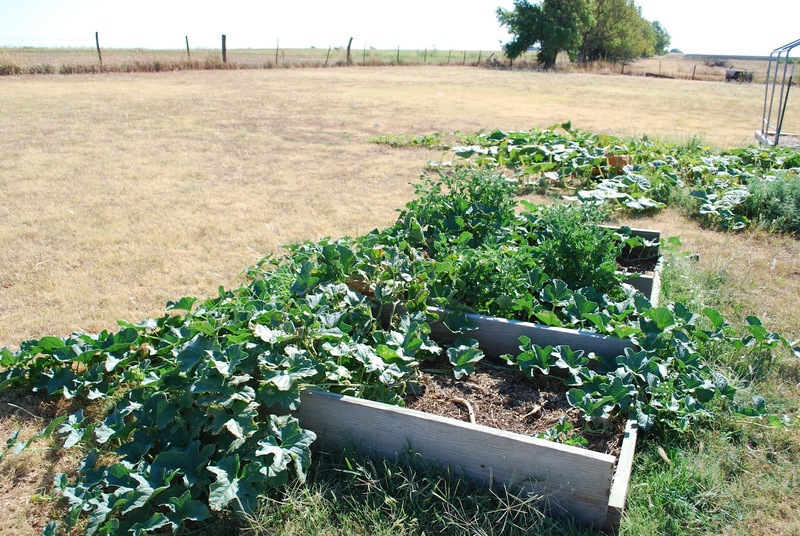 What fav veggies are you getting, or better yet, what is providing you with an overly bountiful harvest? And can we all say 'Adieu' .... 'Adios'..... 'Hasta la vista' .... to summer. It can't end soon enough for me this year. My arms are wide open and welcoming to autumn!!! !